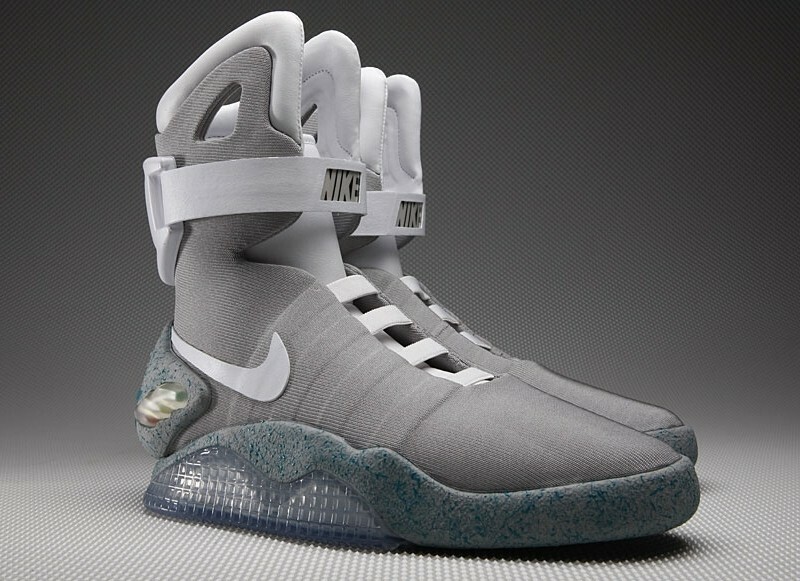 Nike’s 2011 release of the iconic Air Mag shoe featured in Back to the Future II was bittersweet for sneaker enthusiasts and fans of the trilogy. The limited-edition kicks were nearly identical to those worn by Marty McFly but they lacked a key feature that left many disappointed: self-tying power laces. According to Nike designer Tinker Hatfield, those longed-for power laces are still in the pipeline. Hatfield failed to specify if the power laces would simply be an add-on for the existing Air Mag shoes or if they’ll be part of an entirely new shoe. Either way, self-tying laces will arrive sometime next year which just happens to be the same year that McFly and Doc Brown visited in the movie. Delaying the laces until 2015 could be a deliberate move on Nike’s part to drum up even more interest but that’s only speculation at this point. Nike filed a patent for a shoe with an automatic lacing system two years before launching the Air Mags. This led many to believe the power lacing feature would be included with the original shoes but it just wasn’t meant to be. If you’re hoping to get your hands on a pair of Air Mags with power laces, you better start saving now. A pair of the 2011 model without the power lace feature recently sold for well over six grand on eBay. Given the limited quantity (only 1,500 pairs were created), it’s probably a safe bet that you’ll never see a genuine pair out in the wild.